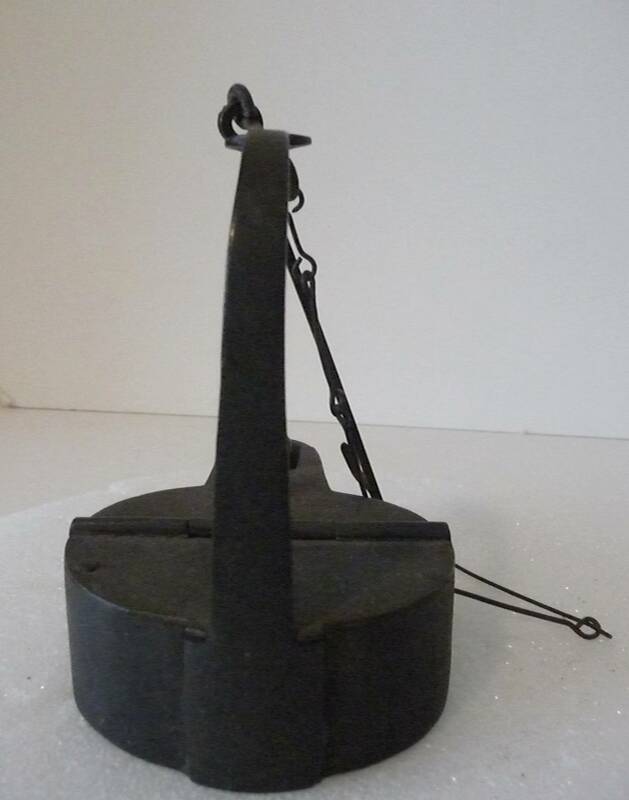 Far superior to the rushlight or splint lamp, the covered grease lamp with a wick channel became known as the 'better' and then the 'betty' lamp. 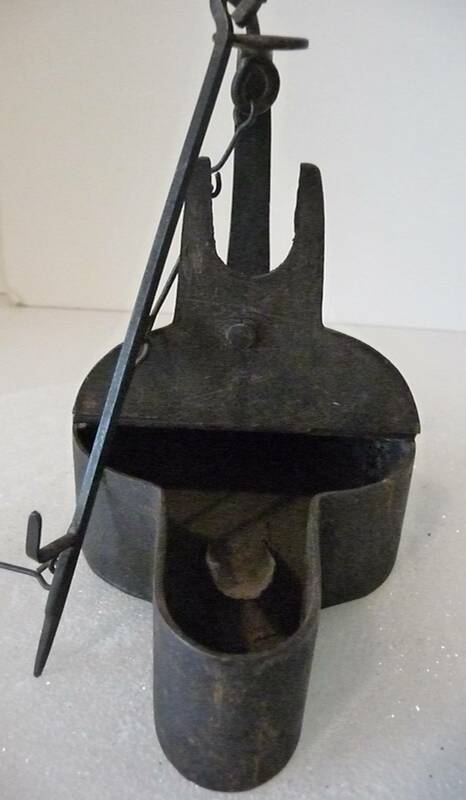 This example is a wrought iron blacksmith lamp probably made in the late 18th or early 19th century. 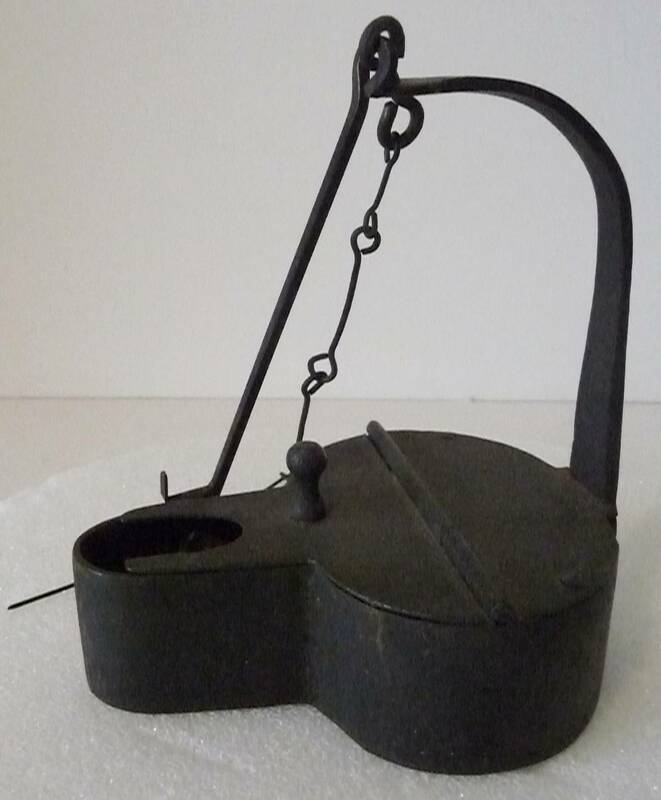 The betty lamp was probably the most widely used means of lighting among people of middle or lower income until refined whale oil became common. 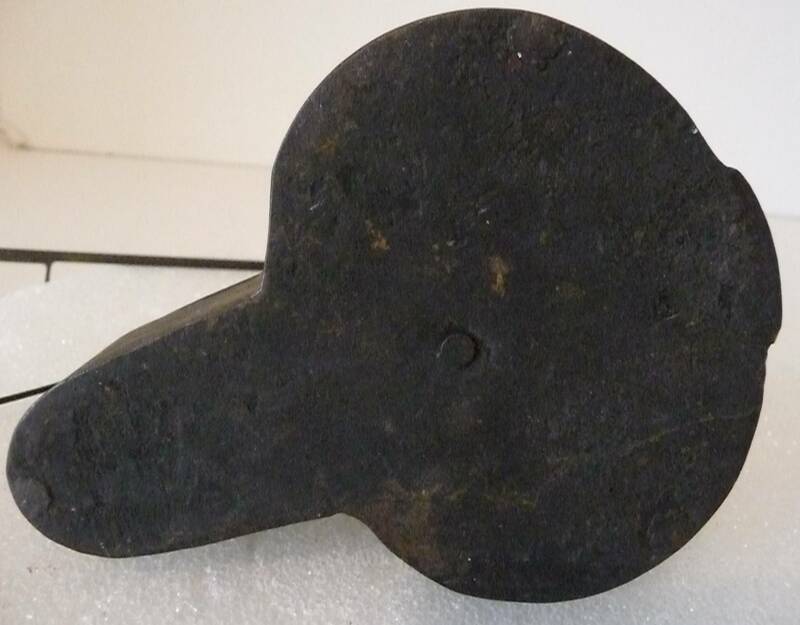 It burned any fat or oil that was available virtually without smell or smoke, using a twisted cotton wick. 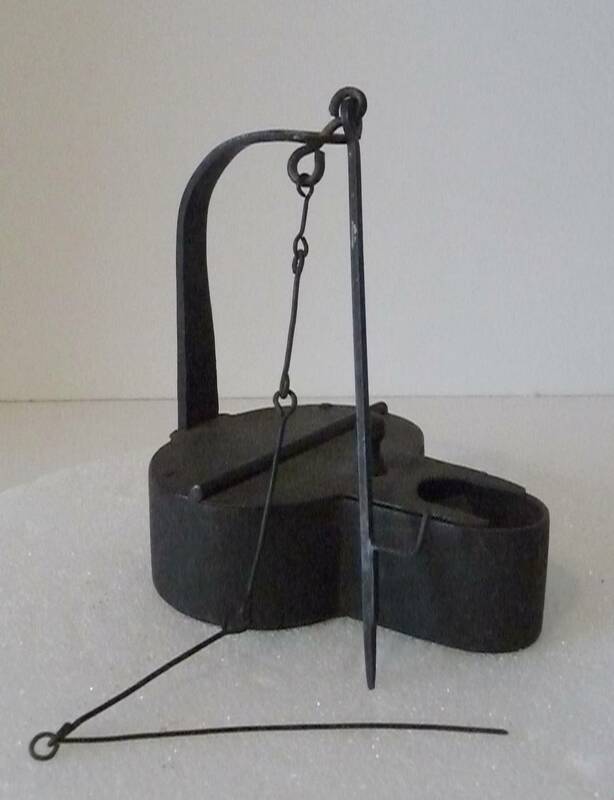 The attached wick pick was used to move the wick up & out. Condition: No damage or repairs. All original with wick pick & hanger.. 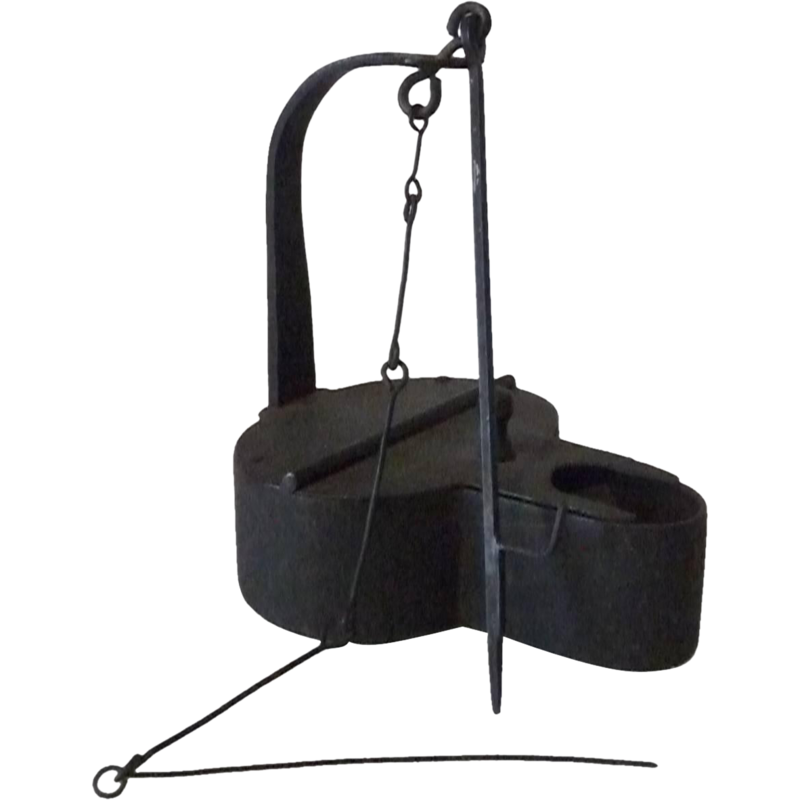 Approximate Dimensions: Length 4 1/2", Height 5".